Antenuptial contract in South Africa (aka ANC or prenuptial agreement) is explained. Why you should get an antenuptial agreement by experts? All marriages end – either by death or divorce. The ease, simplicity and fairness of that ending is determined by the marital property regime you choose before getting married. What is an antenuptial contract / prenuptial agreement? 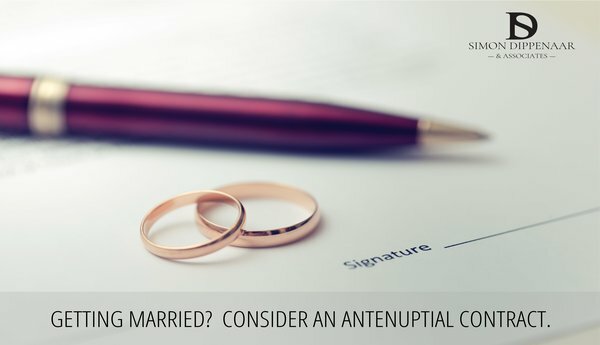 An antenuptial contract, also commonly called an ANC contract or prenuptial agreement in South Africa, regulates the terms and conditions of a marriage between prospective spouses. The decision to marry in community of property or with a prenuptial agreement determines who gets what in case of death or divorce. Making the wrong decision can lead to great emotional hardship, delays and frustration. This is an important one that needs to be carefully considered by all pre-weds. We understand that the last thing you want to consider during the pressure of wedding preparations are what happens if you get divorced, but with divorce up by 28% in 2013 it is a serious matter you must consider carefully. Why choose Divorce Lawyers for your Antenuptial Contract? 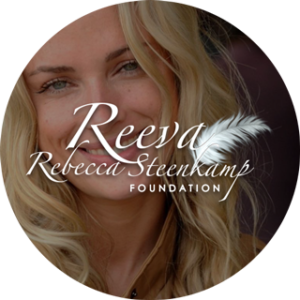 As leading South African divorce lawyers, we see the practical consequence of marital property regime choices every day. Our experience can guide you in making the best choice and making sure that your prenup agreement or cohabitation agreement exactly reflects your requirements. If you do not take or enter into a prenuptial agreement before you get married you will automatically be married in community of property. All debts and assets of both parties are joined into what is called a ‘common estate’ which is owned equally by both. Everything earned, bought, inherited or acquired in any way during the marriage go into the common or joint estate. Money in either spouse’s bank account legally belongs to the joint estate. Any debts incurred by either party binds the joint estate. This can be a serious problem in the case of insolvency because no assets are protected and both parties will be deemed insolvent. If one party enters the marriage with significantly more assets that the other, they immediately forfeit ownership of half of everything to the other. When the marriage ends the entire estate including debt is equally divided. Whether it ends by death or divorce, this process can be complicated and take a long time. This is the old-fashioned that people got married, but perhaps not the best suited to modern reality. Today there are two good alternatives to consider while panning your wedding: prenuptial agreement with or without accrual. All debts and assets of each party remains exclusively theirs when they marry. Everything earned, bought, inherited or acquired in any way by either spouse during the marriage remains exclusively theirs and does not affect their spouse. Money in either spouse’s bank account belongs exclusively to them. Debts incurred by either party are exclusively theirs. Insolvency of one partner does not affect the assets or legal status of the other. If one party enters the marriage with significantly more assets than the other, these assets remain theirs during and after the marriage. The end of a marriage under this regime is financially much faster and simpler. In an prenuptial agreement without accrual any significant increases in wealth or debt by one party during the marriage is not shared by the other party in case of death or divorce. A prenuptial agreement with accrual is exactly like a prenuptial agreement without accrual, except that the increases or decreases in each partner’s estates are shared. In this marriage regime, each partner’s estate is valued at the time of marriage, and again when the marriage ends. This can be complicated and cause delays, but is often chosen as the fairest solution by partners who are both independently wealthy before getting married. We understand that you have a thousand decisions to make before your wedding and want to resolve this quickly but intelligently. Make an appointment now with Divorce Attorneys Cape Town to guide you through the Antenuptial contract options, answer your questions, and draw up the agreement you decide is best for you. Call Divorce Attorney Cape Town / Simon Dippenaar & Associates Inc. now to make use of our years of practical knowledge and experience and know we will guide you to make the best choices.